Camphill Market loves to support other charities and initiatives. Most months we theme our market and promote a cause to help other causes and non-profits. This coming market however is solely focused on all things Camphill. TOUR: For the first time Camphill will be offering a guided tour through our enterprises and farm, where you will get to see, taste and enjoy the best that Camphill has to offer. 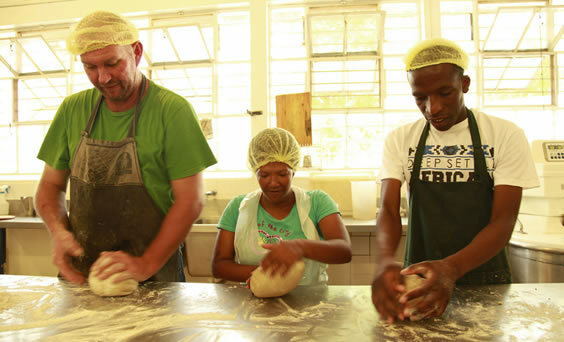 Go behind the scenes into our Bakery, Cosmetics and Sunshine workshops, Herb garden and Dairy. Taste all our breads, try some cosmetics and sample our yogurts and herbs. 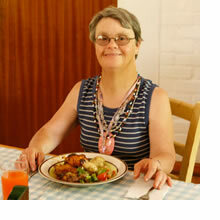 MEALS & LUNCH: In addition to our wonderful food vendors who supply burgers, breakfast rolls, boerewors rolls, rooties and pancakes, Camphill Coffee Shop will be bringing you spectacular cheese-filled croissants and a main meal with a choice of Roasted Veg, Creamed Spinach, Tangy Chicken, Tuna, Hummus, and Funky Salad. ENTERTAINMENT: This month's performance will be by Faye & Wren, their amazing mix of folk and melodies is always a crowd pleaser. We also have a new kids’ entertainment section with an obstacle course. As always our free tractor rides will be running and there is plenty of safe parking for everyone. VENDORS: we have it all including craft beer, clothing, jewellery, books, gifts, garden, lifestyle goods, bakery, cosmetics, dairy and plenty of great food. Can't wait to see you all there. Camphill Market - come experience it! 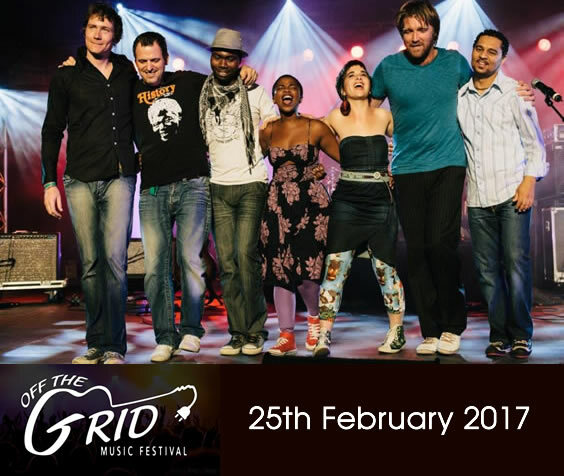 We are happy to announce that due to popular demand Freshly Ground is back for our next music festival "Off the Grid" 2017. We have lured them from another festival with our charm, great vibes and their love for Camphill Village and its people. Our number one supporter and groupie band Bootleggers are back for the third event, no event held on these grounds would be the same without these Rockers. We have more surprises under negotiation and cannot unveil until we have signed the dotted line. Diarise the 25th of February 2017 for your best party ever! It is always such a pleasure hosting our friends Kris and Katrin from Rays of Hope. They were able to see the "fruits" of their investments and interest, in our tunnels that they sponsored. Their enthusiasm and positivity are infectious and have helped us plan some new exciting next steps forward in our masterplan. The aim of our masterplan is to make us self-sufficient by 2020. In simple terms, it is to assist us find the most strategic ways to increase our income, and reduce our expenditure, using alternative technology. The data that we record from these savings is something we are happy to share so that we can become a resource for new technology, and new farming methods. One of the projects sponsored by Rays of Hope, is to replace our 400W flood lights for security with 30W LED lights. This replacement phase is almost complete, and we estimate this will save us approximately R1800 per month in electricity costs. 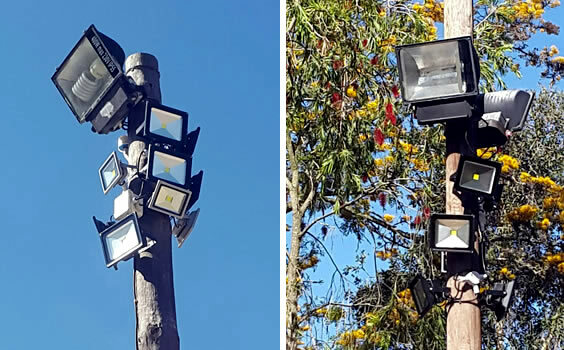 This will enable us to erect more lights around houses for better security. Our brand new liquid range of natural shampoos, shower gels and shaving gels are now in production. There are shampoos for each hair type using herbs and essential oils to nourish your hair and scalp. Names of our shower gels include Serendipity, Glacier, The Warrior's Way and Paradise Beach - each with a unique blend of essential oils and which have different healing and stimulating properties. And we have nourishing and soothing shaving gels that your skin will love. 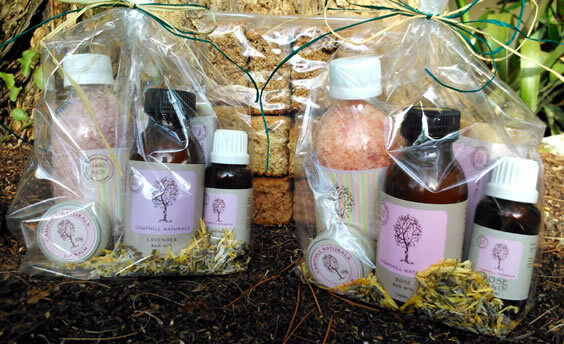 Once someone asked, ‘’Why are Camphill products so special?” Is it the natural healthy ingredients that are being used? What about the teamwork, or those who put those ingredients together with love, passion and the craving for the goodness and nourishment? 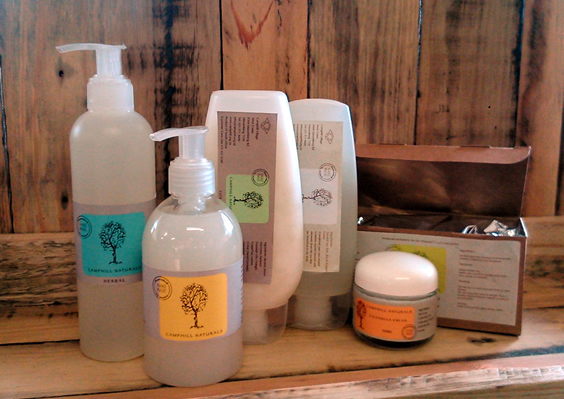 Camphill Village West Coast has a great network of retailers who stock our amazing products. (See here for your closest stockist.) However sometimes there is just no stockist close enough to get our much loved Camphill products. We would like to help with that, so we have teamed up with a delivery company that will deliver our cosmetics to you if there is no stockist in your area. 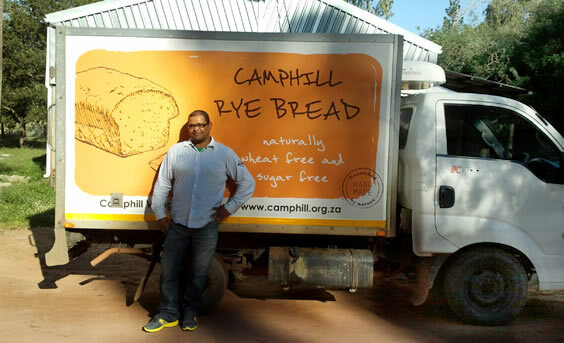 All you need to do is send us a mail to orders@camphill.org.za or contact our orders department on 021 571 8600 and ask about area/home deliveries. We will send our latest availability list including pricing and discuss which options suit you best. For all of those in the neighbourhood, our Camphill shop will be offering fresh vegetables picked daily, as well as our dairy and bakery products. 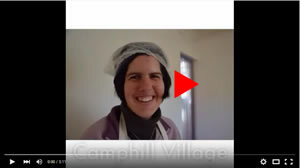 If you place your orders with Carrine in the morning - at orders@camphill.org.za or 021 571 8600, you can collect fresh produce at the shop between 2.30 and 4.30 in the afternoons. 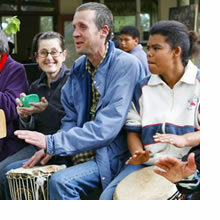 At Camphill we try to engage the residents with many hands-on creative workshops and therapies. We have yoga, dance, music and painting and drawing classes to inspire the residents to grow and discover. One of our many artists is Monte. Monte has always been interested in art but only developed his passion after a car accident which injured his brain. After a nine month coma Monte awoke to a new world, one in which Nelson Mandela was president, and the Eagles had reunited. 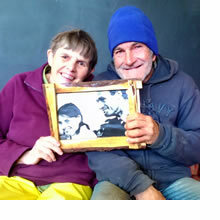 But the biggest difference was that for Monte the world was much harder to understand, because of his brain injury. Unable to do the work he had been doing, selling cds in a store at the Waterfront; he was at a loss for what he could do with all of his time. Eventually he started taking a local art class. After finishing the course Monte was hooked, he loved painting and was uniquely good at it. He began selling his art and doing murals. However, for him it wasn’t about making money, it was about expressing himself and the world around him. When asked what inspired his pieces he said, “Nature, the world, and just being myself, where there is no acting.” Overall, he says, it is simply something he likes doing. Though he no longer sells his art, unless you ask, Monte continues to take art classes as well as working in the Sunshine workshop, where he does many creative endeavors. He says that living in Camphill Village is very different from living at home. He likes the peacefulness and the sense of community. All info in this article is from an interview with Monte himself. Derek says that Rosheen is impatient and he often finds her walking to him before he gets to her house. They spend their days walking and talking about family, holidays, the community and flowers. They love the monthly market and it is quite a topic for them. What a lovely thought that they can't wait to get to each other, even if it means the chance of falling, and no matter what, your partner is always there to either catch you or pick you up after a fall. That’s love! SnapScan lets you pay for the goods and services you need, wherever you are. No cash or cards are needed; you simply download SnapScan and make payment via your mobile phone. 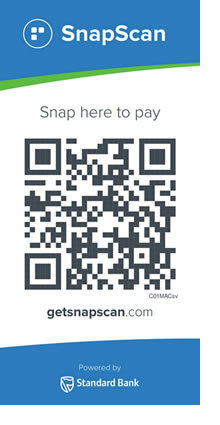 To promote using SnapScan we are running a competition, follow the link http://www.getsnapscan.com/user.html, once downloaded, launch the app and point your phone at the image on the left (this is Camphill's unique QR Code) and press scan. 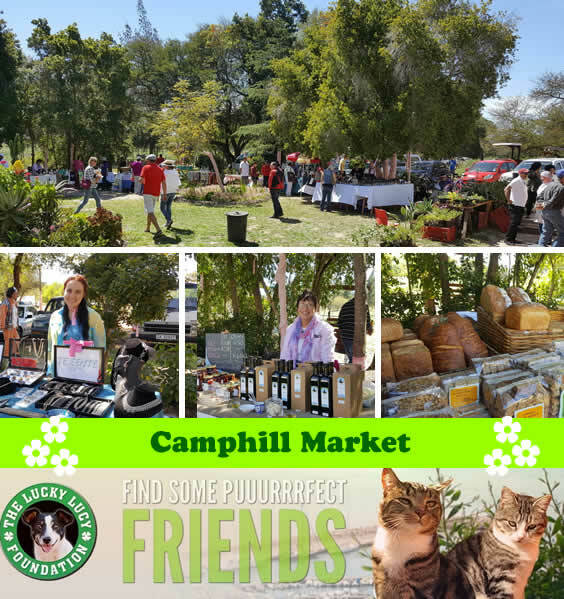 Make a R20.00 donation to Camphill via SnapScan and stand a chance to win a Camphill hamper worth R500.00. You can now also use Snapscan to purchase your favourite Camphill products at our shop, at the monthly market or to make a donation. 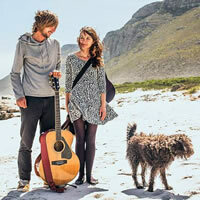 What a wonderful find in my inbox of e-mails when I was approached by the lovely Aléz Odendaal and Grant Hinds. “We love what you do and how can we help?” the message read. Music to my ears! Grant Hinds is a Youtuber, based in Cape Town. He has a decade of experience in the media industry, having worked across television, magazines, radio and new media. Grant is also a HUGE fan of Camphill Village, and can’t wait to be more involved in this warm community. 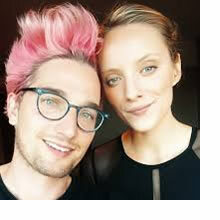 Aléz Odendaal is a freelance writer and editor, doing most of her work in print (COSMO, GQ), and digital media. In 2016 she started her plant-based beauty and lifestyle blog, TOOFUFU, and has been enjoying life a lot more ever since. Aléz will be assisting with our fundraising, and is beyond excited to be a part of the Camphill Village team. 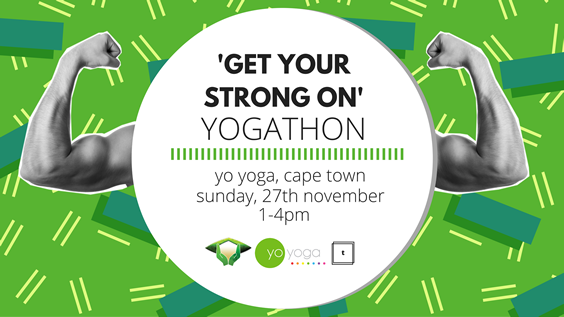 What to bring: A yoga mat if you have one, a towel, and your gym clothes. Shower facilities are available. Register as a participant at http://www.toofufu.com/events, or join us through a once-off donation at the door on the day of the event. Camphill will be on site selling some of our awesome products, so bring cash or a SnapScan-ready device. Don’t have a yoga mat? You can rent one from the studio. Our garden team has been doing a lot of work in the last few weeks to get the third tunnel into production. First of all a new irrigation system had to be installed and connected to the tower in the garden, before we started to fill our compost into bags. 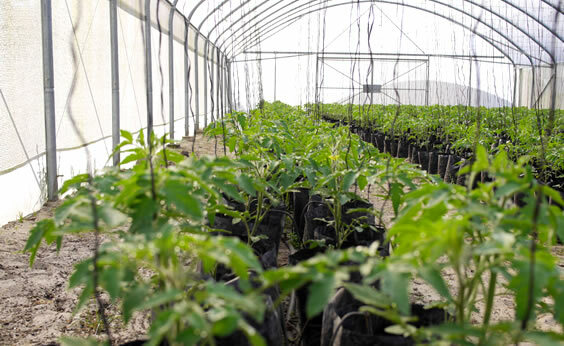 By now 812 tomato seedlings were planted in the third tunnel and they are growing very fast. We had to cut ropes, which support the plants to uphold their weight. In round about 2 months we should be able to harvest our first tomatoes. By now our first tunnel is producing lots of huge cucumbers, which grow so fast that we have trouble getting all of them harvested in time every week! 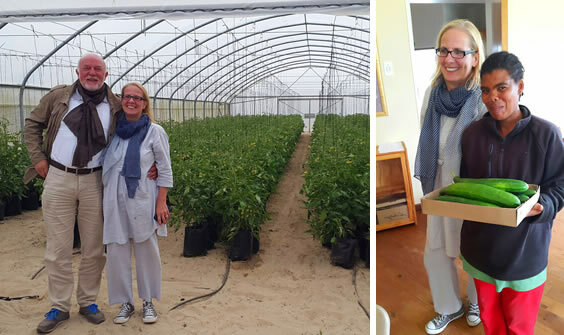 Place your orders for our yummy organic cucumbers with Carrine at 021 571 8600. 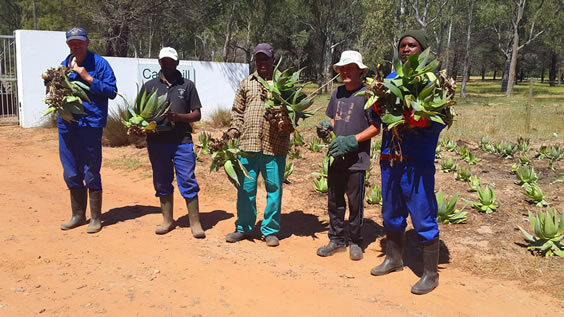 Thank you to Mzize and the farm team for transforming our entrance into an indigenous garden. 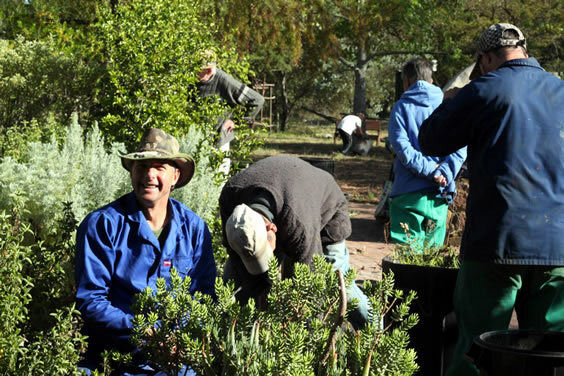 On Michaelmas day the village gathered together to clear our work-centre gardens of devil thorns and other quickly multiplying weeds. Doing this took an entire morning, but because everyone helped it seemed to go quickly and easily. Afterwards we had a delicious community pot-luck in the community centre. Our deep gratitude to Marinda Calitz and the Germishuizen Family who, in memory of Antolien, have donated a R500 PicknPay gift voucher to each house, to buy small appliances or special groceries for the houses. What a wonderful surprise it was to receive this gift! What Malachite is doing will be to have a Really Big Birthday Party for the Malachite residents? Normally, the residents get to choose between a birthday party or a birthday present. They have all – to date – chosen the present. So, for all those birthdays past and those yet to come before the end of the year, we are planning a Right-Royal Beanfeast – this coming weekend. Photographs will be taken in time for the next newsletter. Once again, a sincere Thank You to the Germishuizen Family for their kindness and thoughtfulness. Malachite House really appreciates this amazing gesture. Kris and Katrin and all the wonderful people of Rays of Hope. We are so blessed to have you on board. Thank you for taking your precious time to assist us, your expertise and contribution to our organisation and our strive to become self sustainable and energy efficient is priceless. We are truly greatful and working hard from our side to realise our dream of becoming the Centre of Excellence envisioned by Kris and Rays of Hope. Thank you from all at Camphill Village.